The circus comes to the Chrisp Street Festival on Sunday 6th September. Head to the East India Dock Road market for a free day of family-friendly circus-themed entertainment. Aircraft Circus give two 30-minute aerial acrobatic shows on the day, and Circus Square put on dance performances, art, poetry and live music events. You can even join the circus for the day: head to The Big Top when you can take part in acrobalancing, hula hooping, face painting, juggling and plate spinning workshops. Ride on the waltzers, enjoy a game on the coconut shy or a battle with the Strongman, whilst Zanies Way, curated by somewehereto_, play host to magicians. Look out for clown stilt walkers, interactive street art and roaming children's entertainers. All this plus the usual Chrisp Street Market food from the Bite Street Food collective including Spanish dishes from El Marinero, hotdogs by Oh My Dog and burgers from Back Street Diner as well as Cat Food's hand crafted cupcakes best enjoyed with a Black Box Coffee brew. What are the best dining options near Chrisp Street Festival: Circus Comes To Town London? 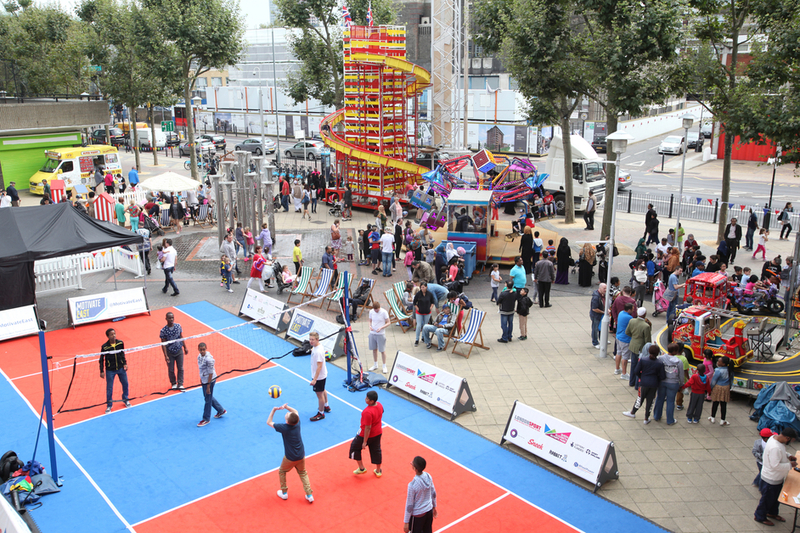 Chrisp Street Festival: Circus Comes To Town gyms, sporting activities, health & beauty and fitness. The best pubs near London Chrisp Street Festival: Circus Comes To Town. Chrisp Street Festival: Circus Comes To Town clubs, bars, cabaret nights, casinos and interesting nightlife. Where to have your meeting, conference, exhibition, private dining or training course near Chrisp Street Festival: Circus Comes To Town. From cheap budget accommodation to luxury 5 star suites see our special offers for Chrisp Street Market hotels, including Hilton London Canary Wharf Hotel from 88% off.